Lester Bowie: Jazz: Ozier Muhammad Photojournalist and Lecturer on Trends in this medium. 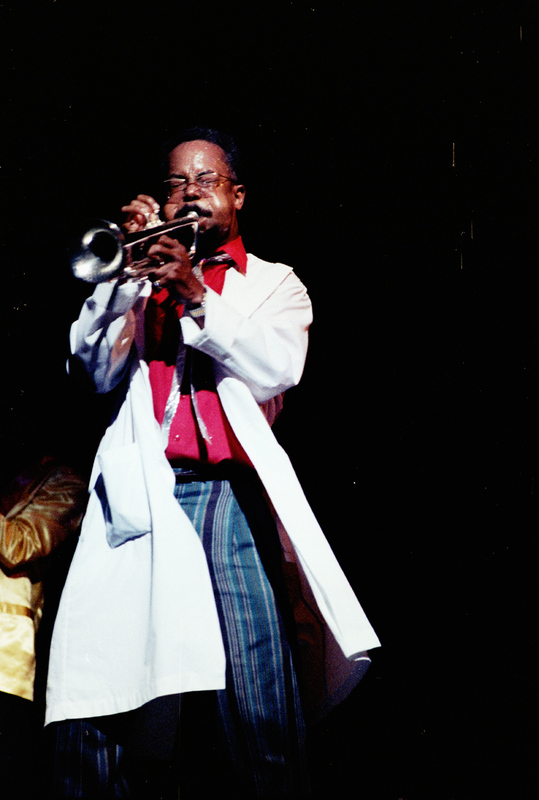 Jazz trumpeter Lester Bowie performing with the Brass Fantasy, at the Brooklyn Academy of Music. Circa, 1989.